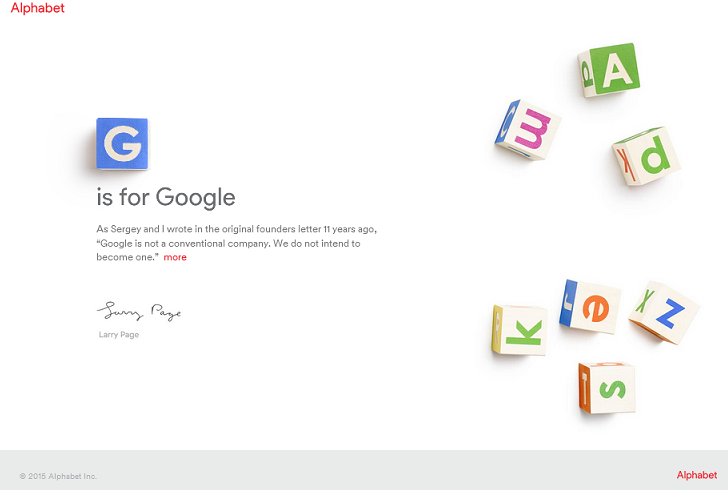 Internet Search engine giant Google has officially has converted into new parent company Alphabet Inc. after US markets closed on 2 October 2015. 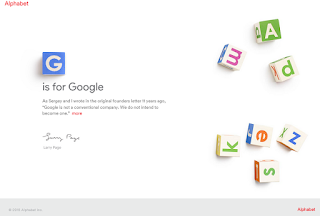 Company had made legal filing for officially establishing the new parent structure of Alphabet without any changes in their day-to-day operations. After closing of US markets, shares of Google stock (both Class C and A) were convert into shares of Alphabet stock. In this exchange the tickers will remain unchanged as GOOG and GOOGL respectively. In August 2015, India-born Sundar Pichai appointed new CEO of Google under a major restructuring while co-founder Larry Page and Sergey Brin, will head up a new company called Alphabet, which will wholly own Google. Google Inc. to Alphabet Inc.
With this Google’s core flagship business entities encompassing search, YouTube Android will be a wholly-owned subsidiary of Alphabet. Google’s smaller units like the hardware maker Nest, moonshot factory Google X will now set up their own companies under Alphabet Inc. In August 2015, Google had announced to blow up its corporate structure by forming a new parent company called Alphabet. It wanted to allow its different businesses to operate independently and move faster with each division having its own CEO.